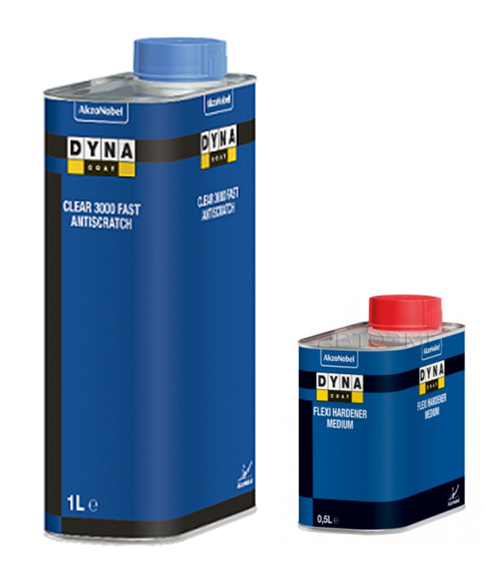 Dynacoat Clear 3000 Fast is a fast drying clearcoat. Delivers a perfect balance for small rapid repairs and smaller panels, combining good refinish appearance alongside achieving quick drying speeds. The new series hardeners Flexi Hardener increases productivity and offers flexibility to the painter. The new range implies a universal approach and ease of use. - As well as some other products Dynacoat.